By teenage years, most teenagers have all or most of their adult teeth and are ready for comprehensive orthodontic treatment. This treatment most often consists of wearing full braces for anywhere from 10 to 30 months. Some treatment plans may additionally require the wear of headgear, elastics and other removable appliances. The optimal treatment age in this phase is while there is still some remaining facial growth, between 10 to 14 years for females and 11 to 16 years for males. Many teenagers like the metal braces with the colors so they can chose new colors at each visit. But today, there are many more options for teenagers. There are the white ceramic braces which can be less noticeable or you can put colors on them which can be a fun look. If all of the baby teeth have been lost, then invisalign for teens could be an option. Invisalign is now a great option for teenagers. It offers teens the ability to straighten their teeth invisibly and it allows for removal of the aligners so that normal brushing and flossing can be performed. This helps prevent getting any decalcifications or white spots on the teeth and keeps the gingival tissues healthy. 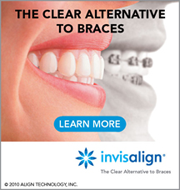 Also, invisalign teen offers 6 free replacement aligners just in case aligners are lost during treatment. 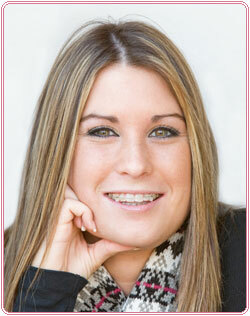 Learn more about Invisalign Teen from actual patients!